The Daily Mail for 4 February managed to give the impression of sort-of link Neville Chamberlain’s appeasement of Nazi Germany and David Cameron’s EU renegotiation and gets it spectacularly wrong. 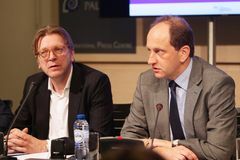 One of the primary reasons for the European project was to prevent another war: far from being talks on the eve of war, we are now in talks about the continuance of peace. 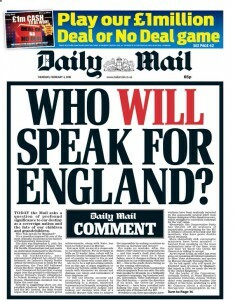 It’s hard not to read the comments in the Daily Mail as linking Chamberlain returning from Munich in 1938 and announcing to the press “I have in my hand a piece of paper, signed by Herr Hitler, in which he assures us that there will be no war in Europe”, and Cameron returning with the outline of an agreement with the EU.